The 50’s had it all – good drinks, good clothes, and great girls. What was it about the 1950’s that make it’s fashion stand the test of time today? Back in the 50’s, fashion designers have established a recognizable style which was widely accepted then, but it still has a big influence today, as you can see in our pages. Retro clothing is very popular, but it is hard to define which fashion details belong to which decade. We’re here to help you recognize exactly the peachy 50’s style. Class & elegance were mostly expressed by wearing some swell dresses. Those dresses were usually very colorful and the bottom was all ‘puffy’. As for the lenght, they were usually covering the knees. What’s also common among these fashion hits is the waste line – it was usually made to express women’s curves, especially the hips. There are some simple models, but many of them vere decorated with ribbons or other details. These models have a giant sway in contemporary fashion. One clear example is this wonderful collection. Skirts were also very popular. Beside the big puffy ones, women loved the so called ‘pencil skirts’. Those are completely different – they are tight-fitting and simple. 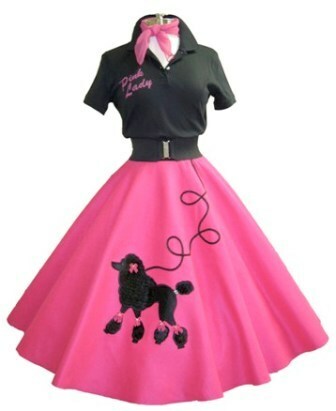 50’s also gave us the ‘poodle skirts’, which are wide and swingy, in bright colors (usually pink or baby blue). Those were popular among the teenage girls. You can check some modern skirts inspired by the vintage fashion right here. 50’s fashion was particulary interesting on the beach. Those vintage swimming suits were practically perfect – made to stress out the best features of the body and hide all the imperfections. What also differes them from the later swimwear are the details, such as ribbons and buttons. Compared to the plain or too complicated contemporary bikinis and swimsuits, these were deffinitely more interesting, more feminine and more comfortable. Luckily, some of the designers make awesome collections as an homage to the 50’s. Here you can explore some of the best 50’s inspired pieces from our web boutique. The accessories were also very specific. One of those accessories is, unfortunately, almost forgotten – it’s the hat. Once it was a neccessary detail, especially in 50’s. 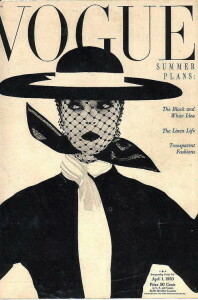 There’s no rule about the hats – all kinds of shapes, colors and sizes were gladly worn. Some of them were simple, while the other ones were decorated with different nets or feathers. But it seems that the hats are pretty much the past of the fashion, and today you will probably choose a different accessory to complete your style. Than this is the right collection to begin. 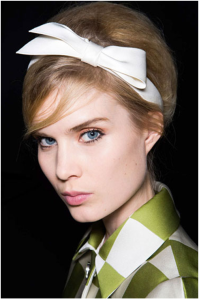 Hairstyles also have their 50’s story. The big rule was to keep your hair shipshape. All kinds of pin up hairstyles were what women of 50’s required from their hairdresser. As for the color, it seems that blondes were slightly more popular. Regardless of the color, hair accessories were widely used. The hair ribbons and hairpins were the absolute hits. Many of simillar hair decorations can be found today, and to shorten your wandering, you can find them in this place. 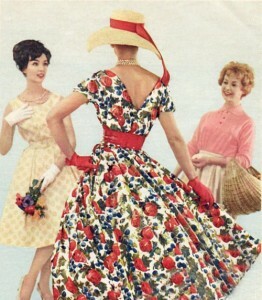 There are also some other common motives in 50’s fashion. Polka dots and sailor style are just some of them. What’s important is that vintage spirit is getting stronger, and today, more than half a century later, we can still enjoy the magic of that old fashion. Use that opportunity and enrich your own style!